Though there are no official figures regarding the national origins of the Americans who served during the First World War, according to George Creel, who was in charge of propaganda during the conflict, “The Italians in the United States are about 4 percent of the whole population, but the list of casualties show a full 10 percent of Italian names.” More than 400,000 served in the Army alone. Many Italian immigrants to America at the time saw military service as a fast track to citizenship, choosing to risk life and limb to secure their status in their new homeland. 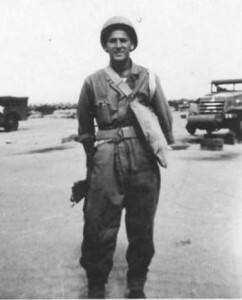 Tito Basile was an artilleryman in the Italian army before coming to America, choosing to stay and fight with the Yanks when the war arose. invaluable part of the war effort. 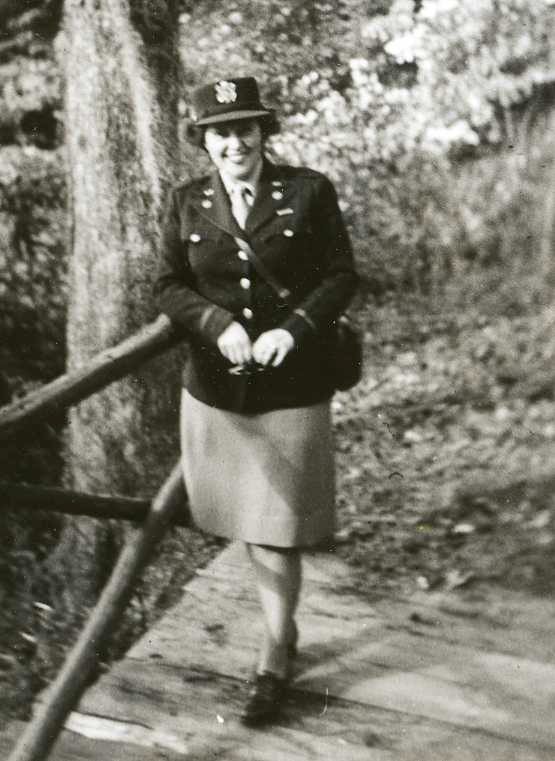 The main venues for military service for women back then were the Women’s Army Corps (the WACs), Navy’s Women Accepted for Volunteer Emergency Service (the WAVEs), Army and Navy nurses, Women Marines and Women Coast Guards. Mary LaMarte Del Giudice (left) served as a staff sergeant in the Women Marines, Madeline Palucci (center) served as a staff sergeant in the Women’s Army Corps, and Violet Savocchia (right) joined the Army Nurse Corps. The United States Army Air Forces was the military aviation arm of the United States of America during and immediately after World War II. The direct precursor of the United States Air Force, its peak size was more than 2.4 million men and women in service and nearly 80,000 aircraft in 1944, with 783 domestic bases in December 1943. 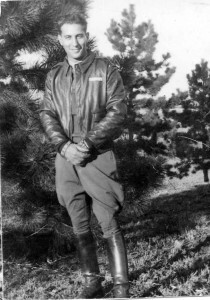 Larry Battisti served as a sergeant in the Army Air Corps, flying 35 missions out of Glatton Air Base in England. On Nov. 2, 1944, Battisti served as a waist gunner in one of the greatest air battles ever to take place over Europe, downing two German fighters during fierce aerial combat. The 3rd Armored Division was nicknamed the “Spearhead” because it led the U.S. Army’s advance across Europe. At the tip of the Spearhead was the 83rd Armored Recon Battalion. 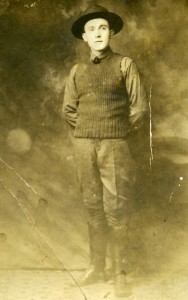 Sergeant Lawrence Maffia was a member of that battalion. In less than a year, they drove relentlessly across Europe. Along the way members of the battalion earned five battle stars and suffered greater than 100 percent casualties, with the dead and wounded being replaced by fresh troops. Among those casualties was Maffia. A crew member and radio operator in an M-6 armored scout car, he made it all the way to Wolfen, Germany, when he was struck by German artillery fire. He survived lived to the ripe old age of 91, carrying shrapnel from that exploding shell in him to his grave. If you piled high all of the ships, planes, guns, equipment, ammunition and other materiel produced during wartime, then assembled right next to it the mountain of paperwork that was generated, it’s hard to say which would reach closer to heaven. From the moment you enter the military to the moment you’re discharged and beyond, a trail of paper follows you wherever you go. Mario Avignone should know. 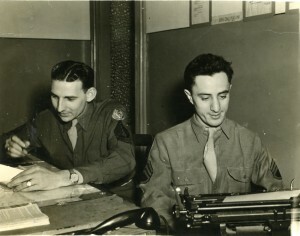 As a company clerk for the U.S. Army Air Forces during World War II, he generated more than his share. He also hung on to quite a bit of it along the way. Avignone was so familiar with the various document formats that he was able to create a birth announcement for his son that was a dead ringer for a military extract. When you visit our museum, we invite you to find that odd bit of unofficial memorabilia in the exhibit to your left as you enter the door. U.S. service men and women have worn patches on their uniforms since the Civil War. There are literally thousands of them from all branches of the Armed Forces, and their bright colors and rich histories have made them collector’s items for generations. 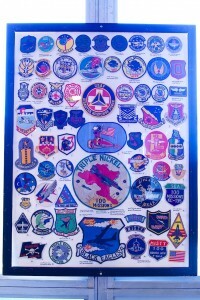 Patches are used to identify the rank, skill or unit of the wearer, and their designs have changed with the times. In the 1960s, the Army began using subdued colors to better camouflage the soldiers fighting in the jungles of Vietnam. And in the 1990s, patches in the desert colors of brown and tan began to appear. The magnificent collection of 1,200 patches that adorns the windows of the museum was generously donated by Charles “Bud” Manes, national chaplain of the Italian American War Veterans. 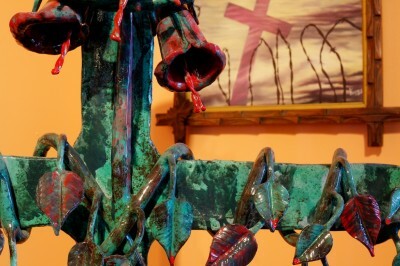 The steel sculpture was donated by Bill & Greg Frabotta. A Chicago-born Vietnam veteran who now lives in Oklahoma, Bill creates art to help heal the psychological and physical wounds of war. His work focuses on how something that comes from the earth and from God can cause both destruction and good.